A few rail shots from my recent trip. Those are some neat shots. I had the privilege to take Amtrak's Coast Starlight between Los Angeles' Union Station and Seattle's King Street Station, as well as Cascades between Seattle and Vancouver. Nice photos Newflyer. It is nice to see they still have some F40s around. Those F40s in the Talgo trainsets are non-powered. The engine is taken out and these act as cab units. At the other end, these sets usually have an F59 loco. These are staffed when the train is in pull mode. 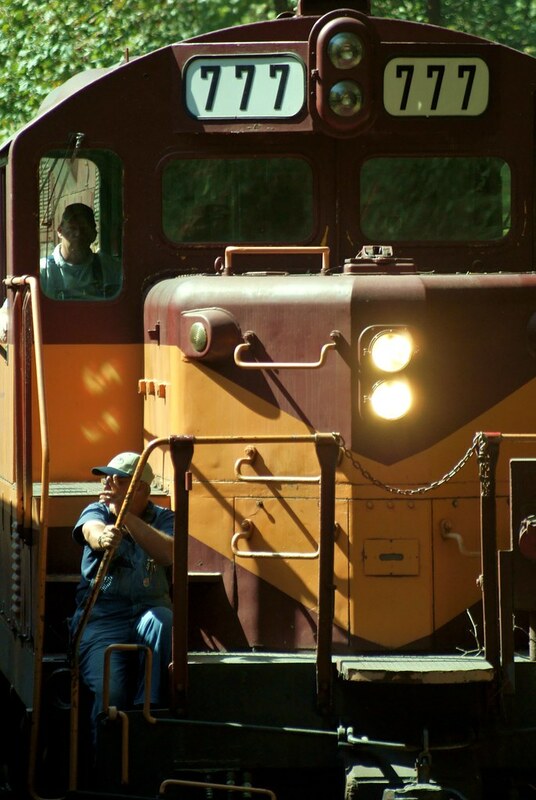 The F40NPCU (Non Powered Cab Unit) are staffed when the train is in push mode. 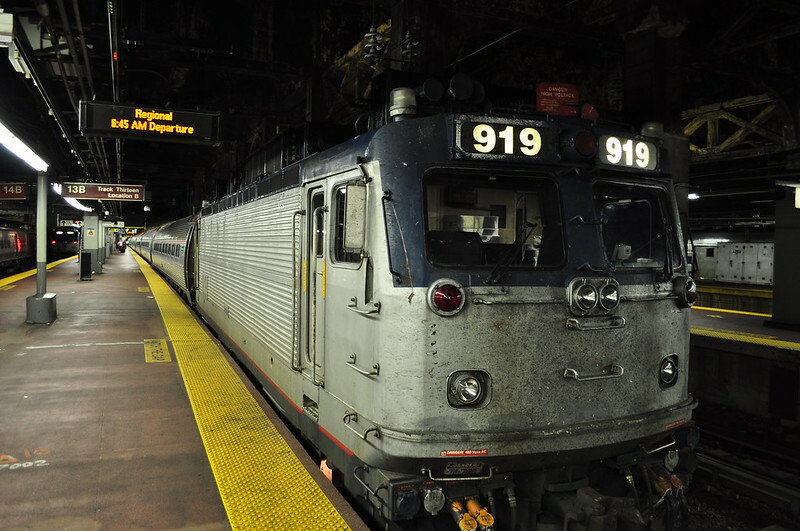 Many of these hollowed out F40s are designated "Cabbages" (that's "Cab" and "Baggage" merged together in the same word) and have a baggage door at each side and carry baggage (in lieu of a traditional baggage car). 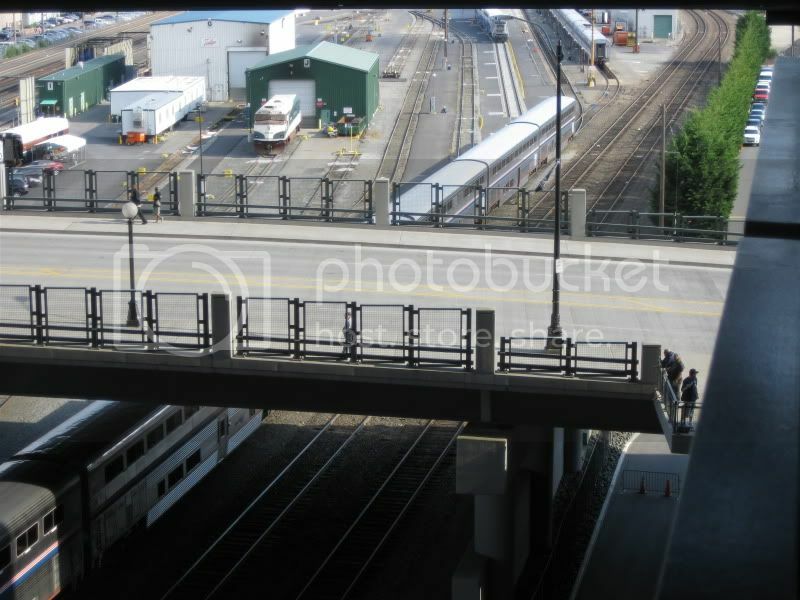 The Empire Builder train you saw in Portland is the Portland branch. 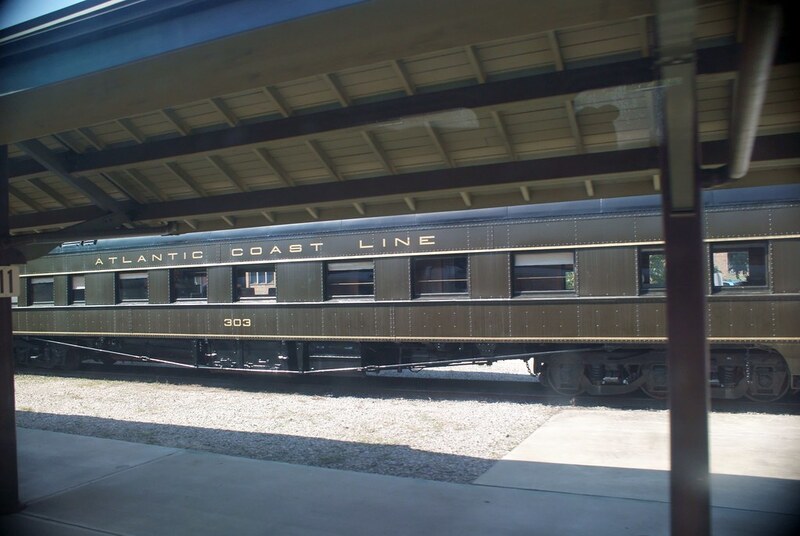 This contains the locomotive(s), a Sightseer Lounge Car, a Coach/Baggage, a Coach, and a Sleeping Car. This section leaves Portland at the same time the Seattle branch does and both mate in Spokane. The Seattle branch contains locomotives, a Baggage Car, a Transitional Sleeper (usually for the crew), two Sleeping Cars, a Dining Car, and two Coaches. At Spokane, the Seattle branch always backs into the Portland branch. The Portland loco(s) move to the siding and await the westbound train, which usually arrives a bit after the eastbound leaves. 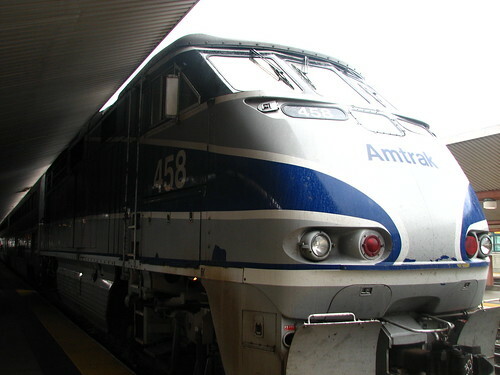 Just prior to the Seattle branch leaves Spokane and head west, the branches are uncoupled. 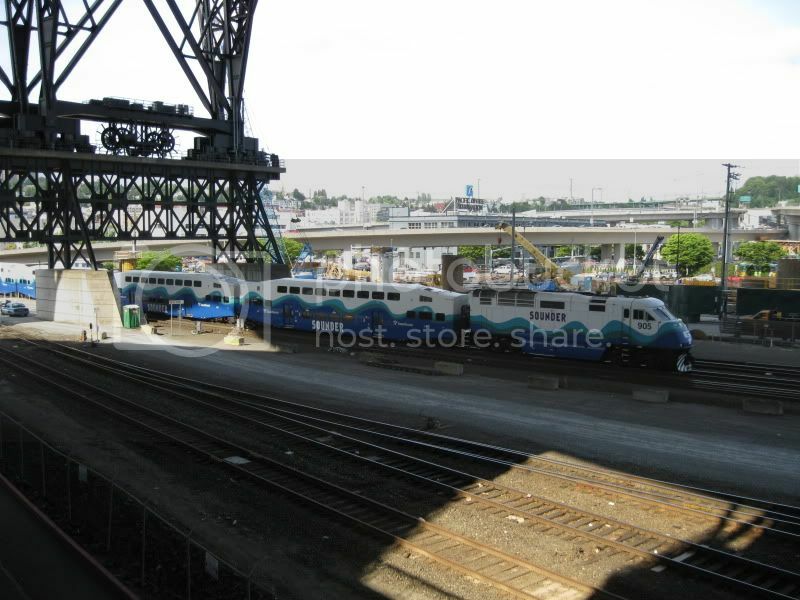 After the Seattle branch leaves, the Portland loco(s) back in and couples to the Portland branch and that set heads to Portland. So, there is a bit of info for you on the northwest operations of the Empire Builder. 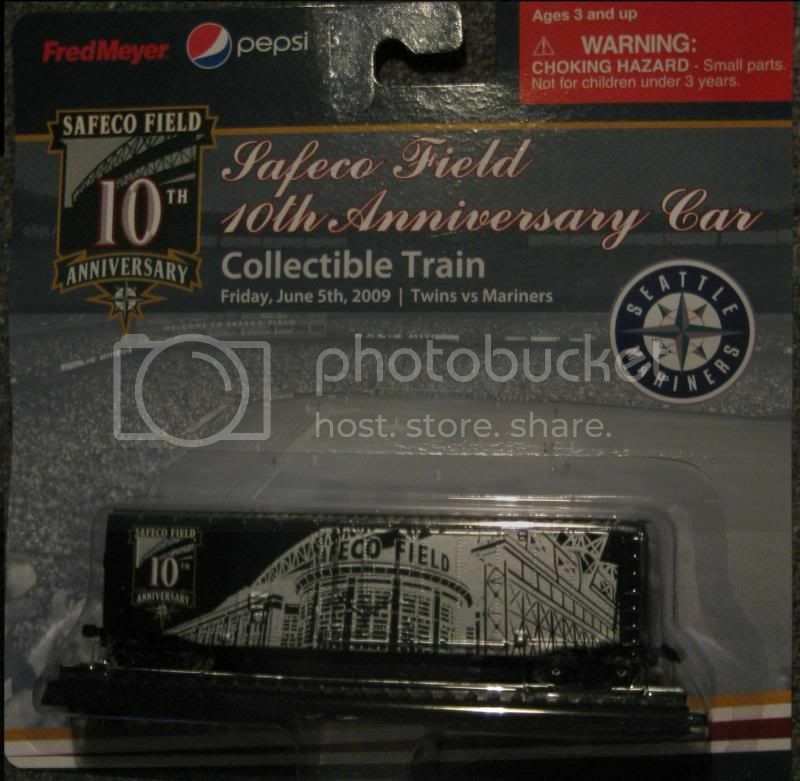 I went to the Mariners game this Friday to collect, yet, another of their series of rail cars. This is the 10th anniversary edition. Sounder on another trip to Tacoma. 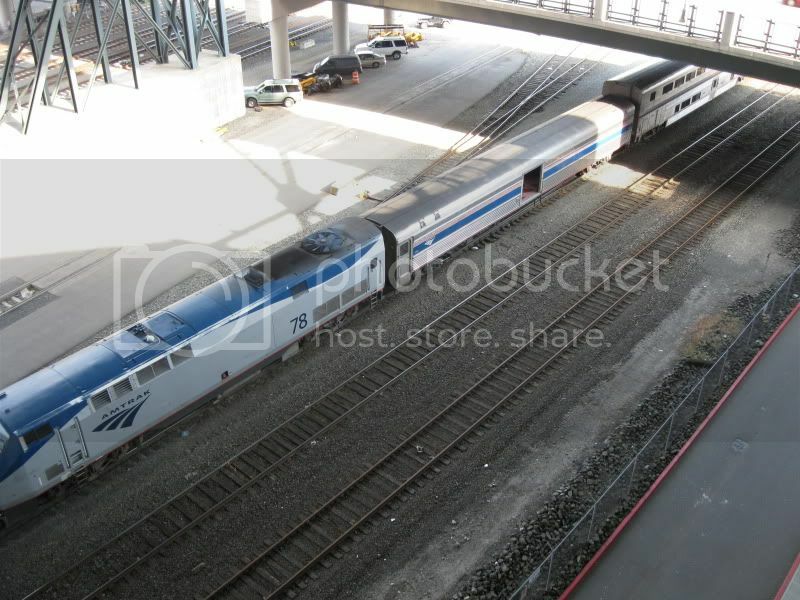 A Sounder set of passenger cars are being shifted by an Amtrak switcher. 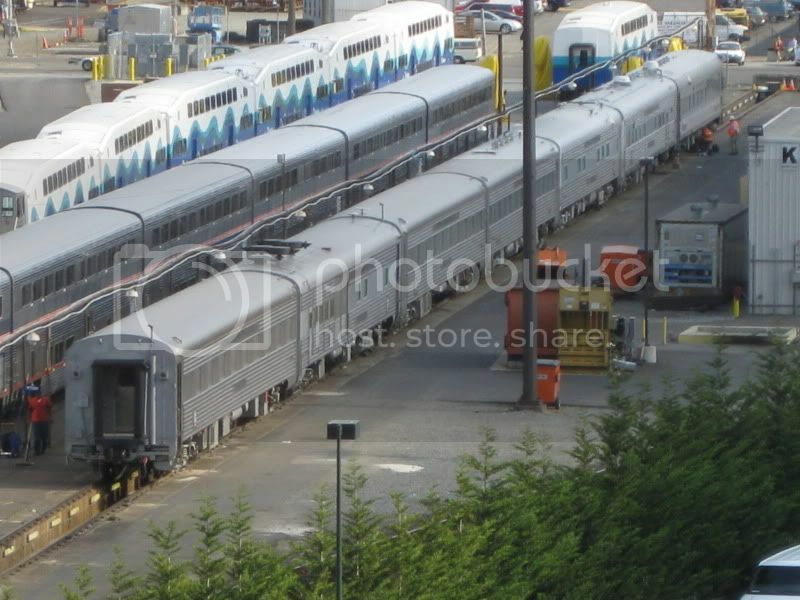 The Seattle-branch of Amtrak's Empire Builder is being serviced before another long trip to Chicago. To her right is a private varnish of BNSF. The Seattle-branch of Amtrak's Empire Builder consists of locomotives, a Baggage Car, a Crew Dorm, two Public Sleepers, a Dining Car, a Bi-level Coach, and a Coach Baggage. Nice to see classic varnish! 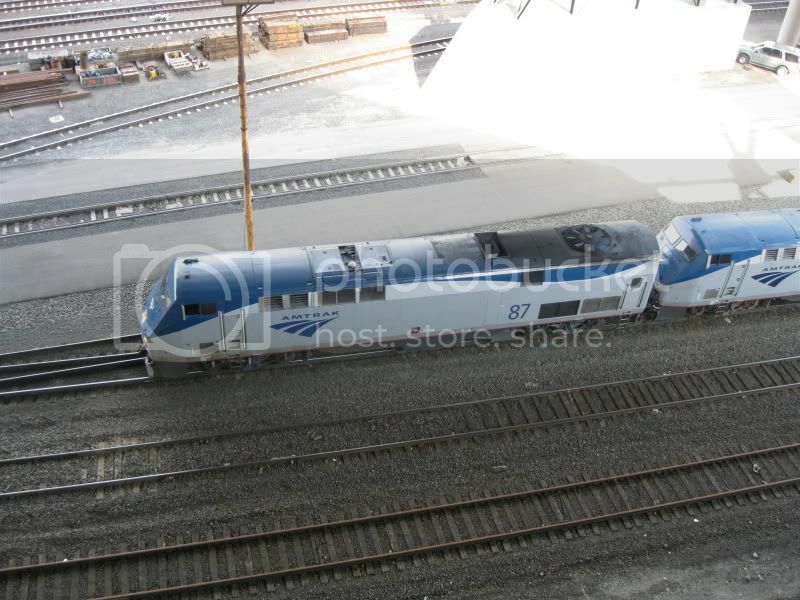 The Amtrak's Empire Builder pulls out of the yard and heads for King Street Station. Time for me to go to my seat and see the game! 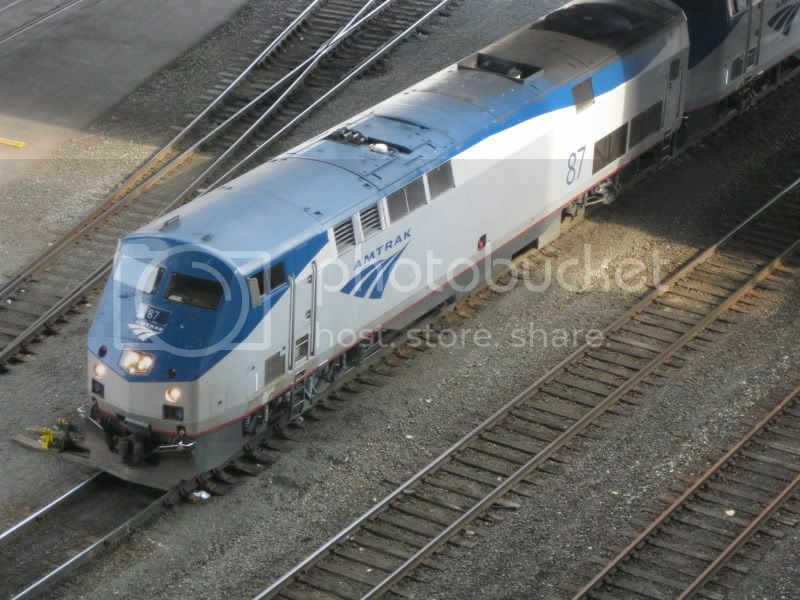 If you're interested, here's a few shots taken from my trip on the Amtrak from Los Angeles to Seattle on the Coast Starlight (train 14), then from Seattle to Vancouver on Cascades (train 510). 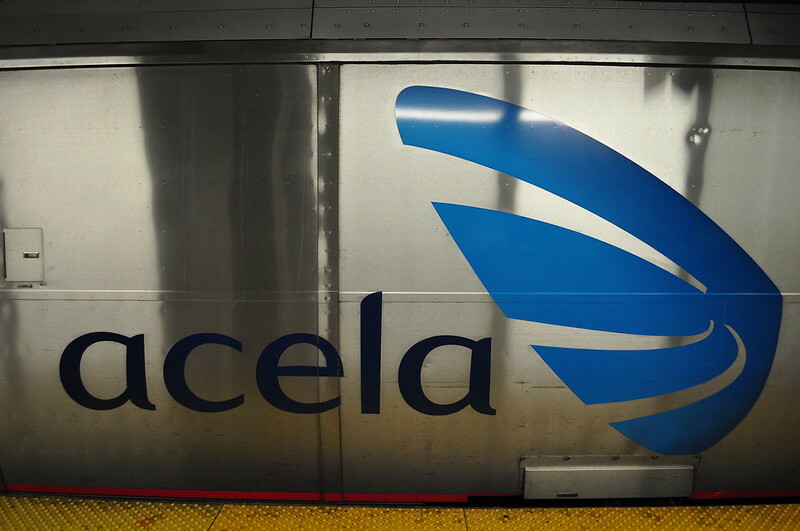 Just happened to be in the right place and quick enough to snap an Acela train as it passed by at 240 kph. 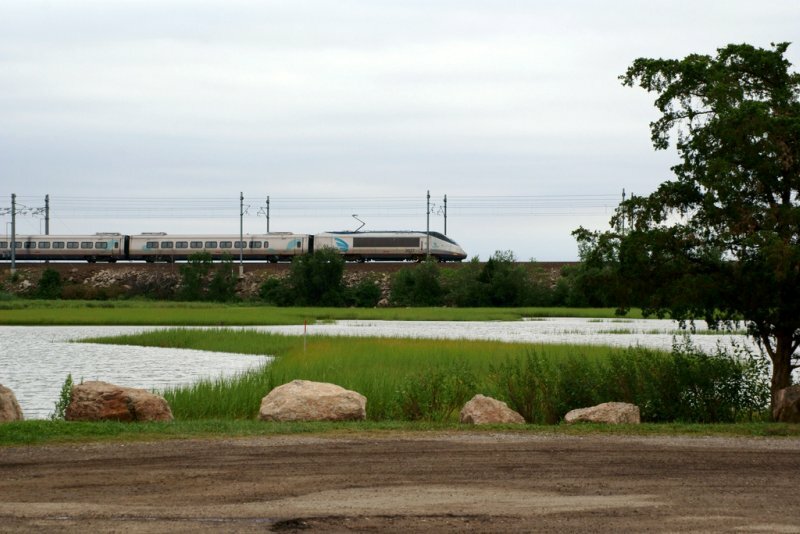 If the Mayor of Quebec City has his way, an updated version of the Acela will soon be zooming between Quebec City to Montreal and then beyond to Ottawa and Toronto. 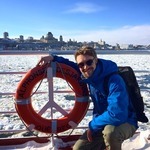 One hour between Quebec City and Montreal would be a great boon to business. There currently is yet another fed/prov study into High Speed Rail in the corridor underway and hopefully it will come out viable. 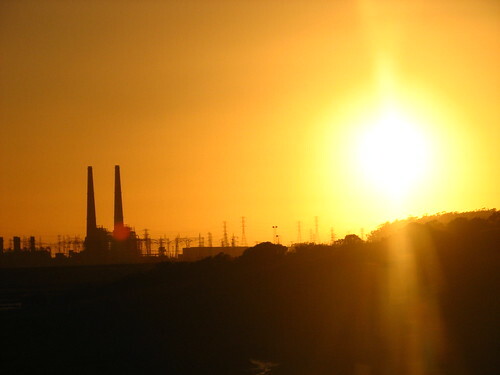 A recent 300 million investment into VIA Rail in the corridor is a step in the right direct direct. It will shave 20 to 30 minutes on the trip as it stands now. Maybe, soon or not so soon - ie. don't hold your breath. So I guess my question on this would be, "Does the existing infrastructure need significantly more investment to handling the 200kph the Acela trains manage, or is there going to need to be a significant rolling stock investment, too?" 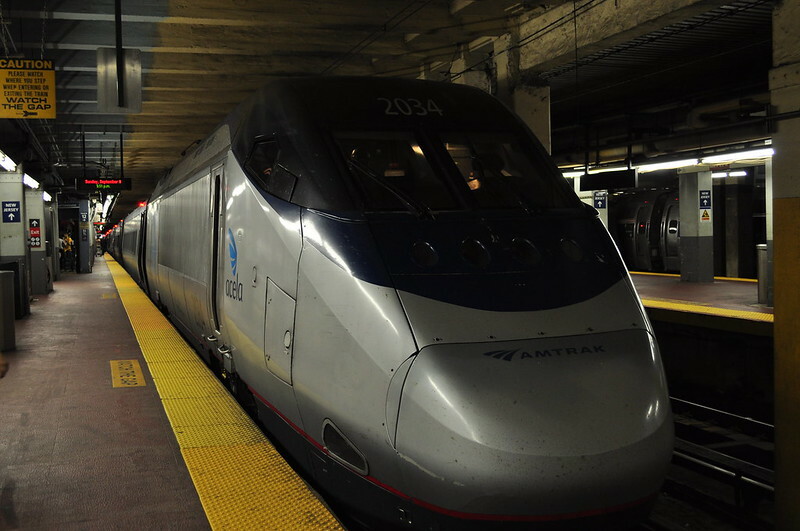 If the Mayor of Quebec City has his way, an updated version of the Acela will soon be zooming between Quebec City to Montreal and then beyond to Ottawa and Toronto. One hour between Quebec City and Montreal would be a great boon to business. There currently is yet another fed/prov study into High Speed Rail in the corridor underway and hopefully it will come out viable. 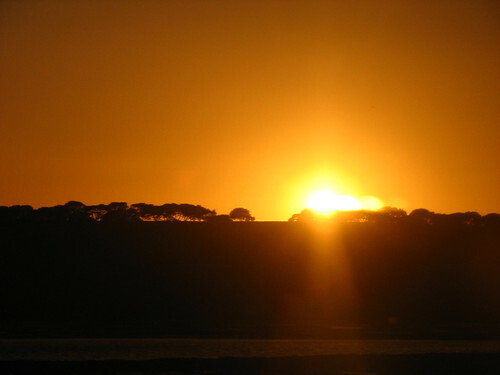 A recent 300 million investment into VIA Rail in the corridor is a step in the right direct direct. It will shave 20 to 30 minut es on the trip as it stands now. Maybe, soon or not so soon - ie. don't hold your breath. 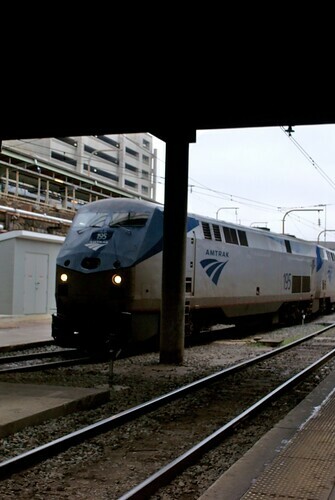 Better tracks would equal faster service. 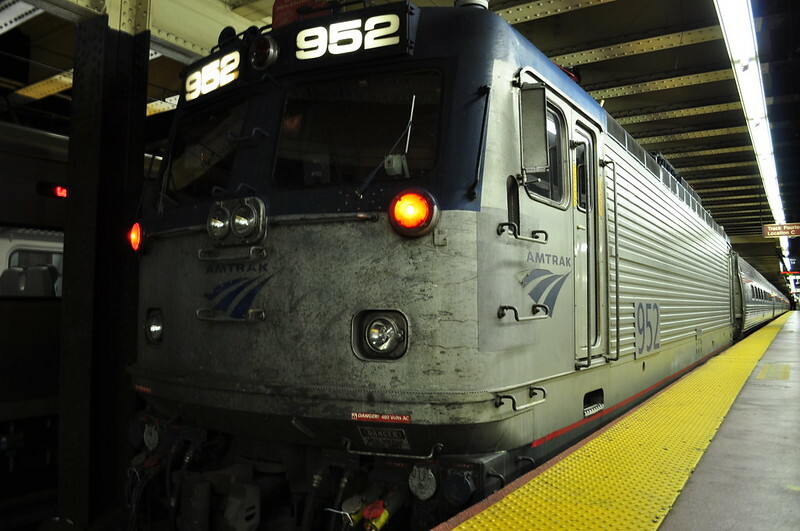 The Acela is made to do the best with what there is but the whole network is lacking. It isn't traveling at the speed it is capable of. There is a turbine version that can go much faster but the existing tracks can't support it. Dan can tell you much more about it. An Acela type train on existing tracks between Toronto and Montreal would be faster by about an hour. The problem is that the rail lines are owned by the railways and not VIA so it can be held up by freight trains. A third rail is being added in key locations for $300 million dollars with a recent announcement. It is a step to high speed rail. 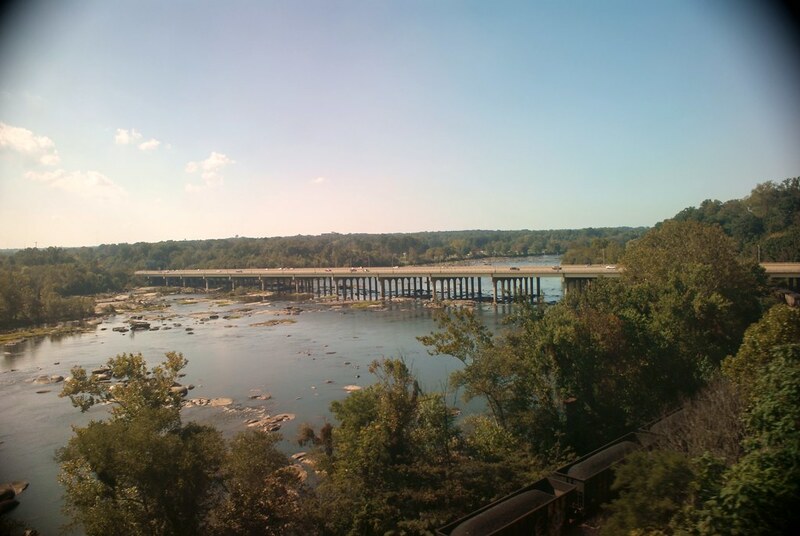 However, a true High Speed Rail would do the trip in 2.5 hours or so. So with the security at the airports that would be a truly competitive time. Porter flies from downtown Toronto to Dorval YUL (Trudeau) airport, Air Canada has hourly plus flights to YUL on just about every type of aircraft they fly. WestJet has a decent frequency as well. So the volume by air is quite something between the cities. The flying time in the air is only 55 minutes however with ground traffic etc. Add security, taxi time, and travel time to the airport and you get the true travel time of almost 2.5 to 3 hours downtown to downtown. Megabus (part of Coach Canada) has just started double decker intercity service between Toronto and Montreal. 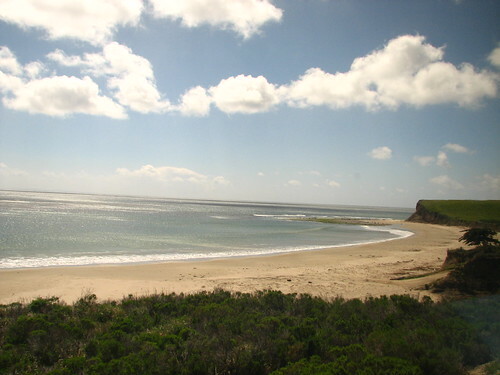 That is in addition to a number of other scheduled services including very frequent Greyhound. 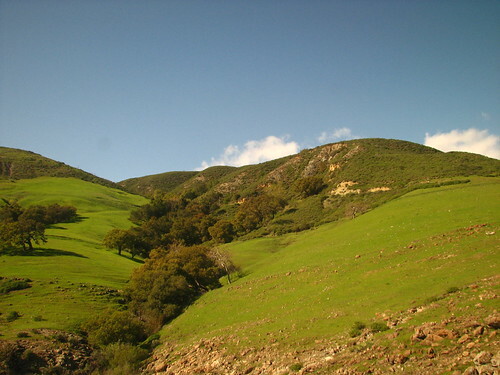 It is a 4.5 to 5 hour trip by car depending on stops and how much over the speed limit your drive. My car could do the trip on one tank of gas but I would often stop for gas before entering Quebec if the prices were better on the Ontario side. The fastest I have driven it is in 4 hours at a quiet time so no traffic delays in Toronto or Montreal. 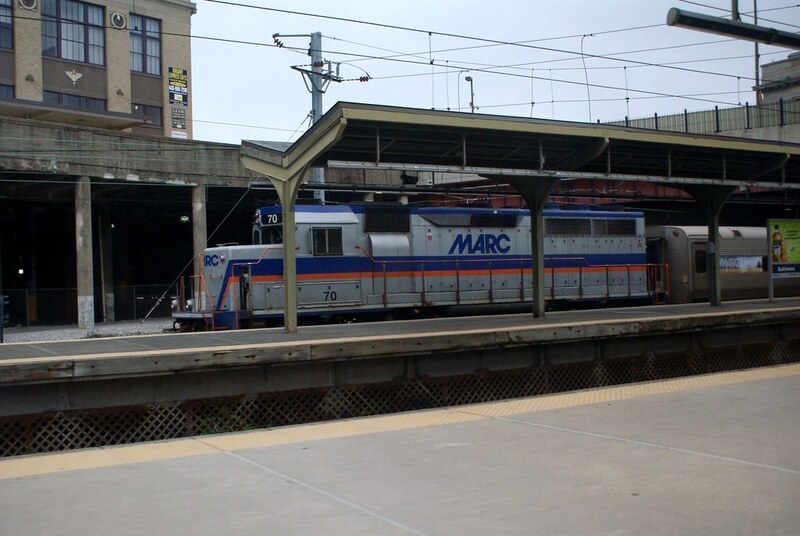 AT LONG LAST, A GREAT TOWN GETS RAIL SERVICE! In one week, the brakes will be squealing for a great purpose aboard Amtrak's Empire Builder as this train will begin serving the Bavarian Village city of Leavenworth, WA. 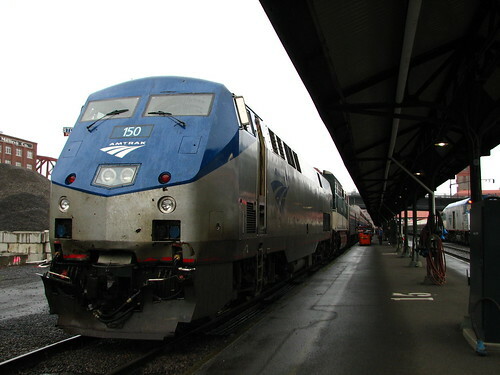 The Seattle-branch of the Empire Builder leaves Seattle daily at 1645PT and serves Edmonds, Everett, soon Leavenworth, Wenatchee, Ephrata, and couples to the Portland-branch at Spokane before continuing to Chicago via Glacier Park. 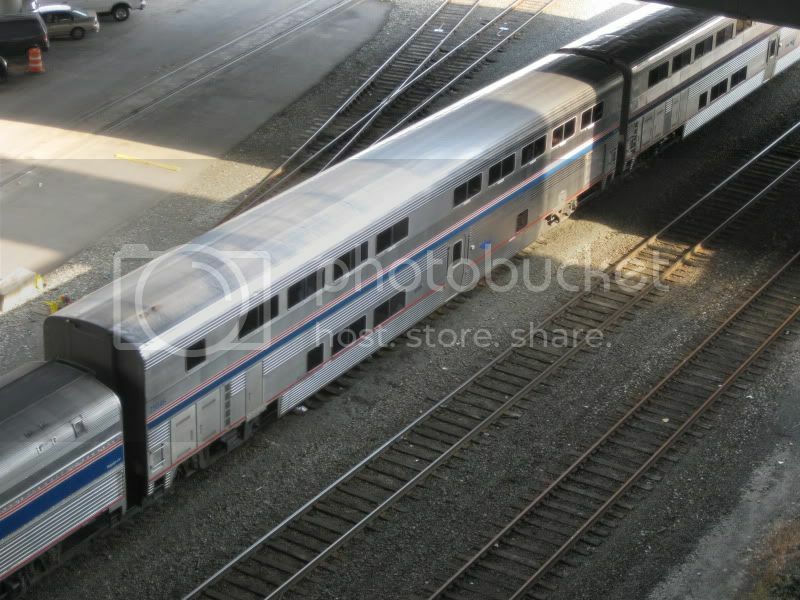 The train uses Superliner train sets. Leavenworth was quite a run down town in the early 1960s. Then, a bright idea came up to transform almost all the buildings into Bavarian-style ones. A lot of work was done. After the work was done, this became one of the most beautiful cities anyone could imagine seeing at the foot of towering mountains. 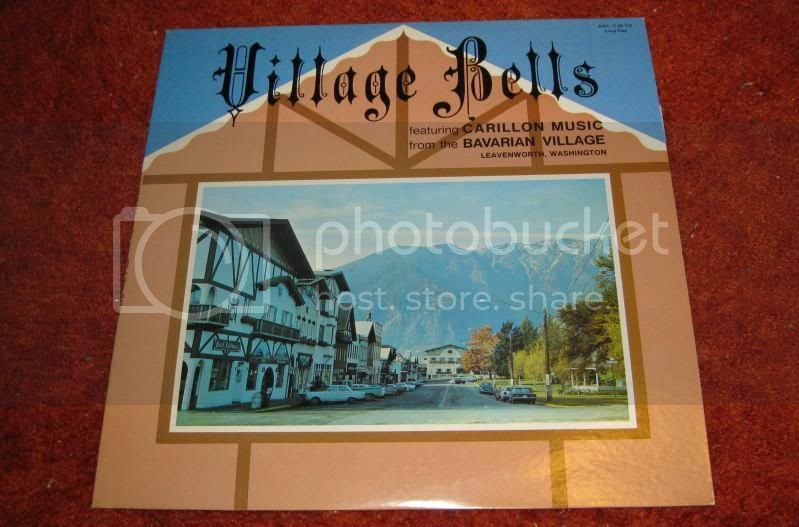 A carillon was installed in one of the buildings. 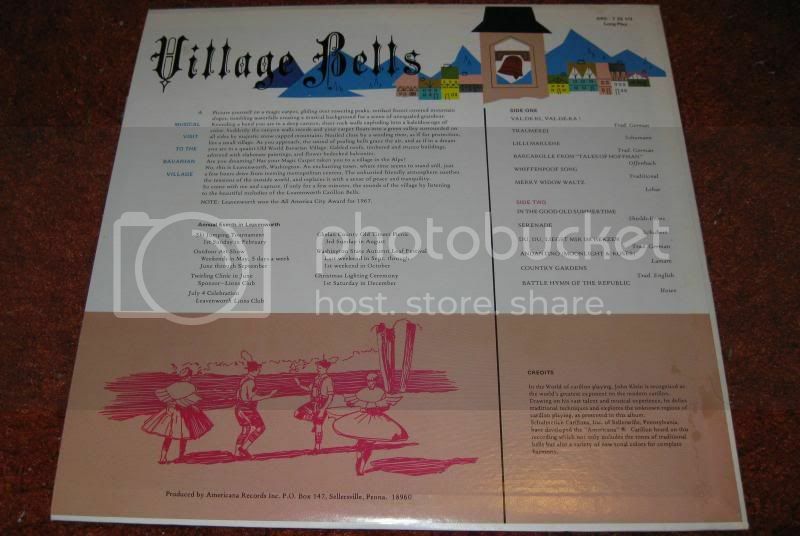 John Klein did a monumental recording of this in the 1960s and the LP title is "VILLAGE BELLS". One of my favorite albums! Our musical moderator would really love this album. I can't wait now to take my mom on easy train rides to our favorite mountain town of Leavenworth! This is such a neat town to visit. Lots of activities. Christmas is special as this town is lit beautifully at night. Those towns are familiar to me from a 1980 family road-trip. Is that the "Steven's Pass"? Does the railway follow the same route as the highway? Our road-trip went to Grand Coulee Dam, and then went north to Okanogan and across the border at Oroville. This parallels the Stevens Pass Highway, US2. The track runs under the Stevens Pass ski area in a 7.79 mile long tunnel, the second Cascade Tunnel. East of the Tunnel, the line runs east of the highway along the Chumstick line before rejoining the close proximity of the highway by Leavenworth. 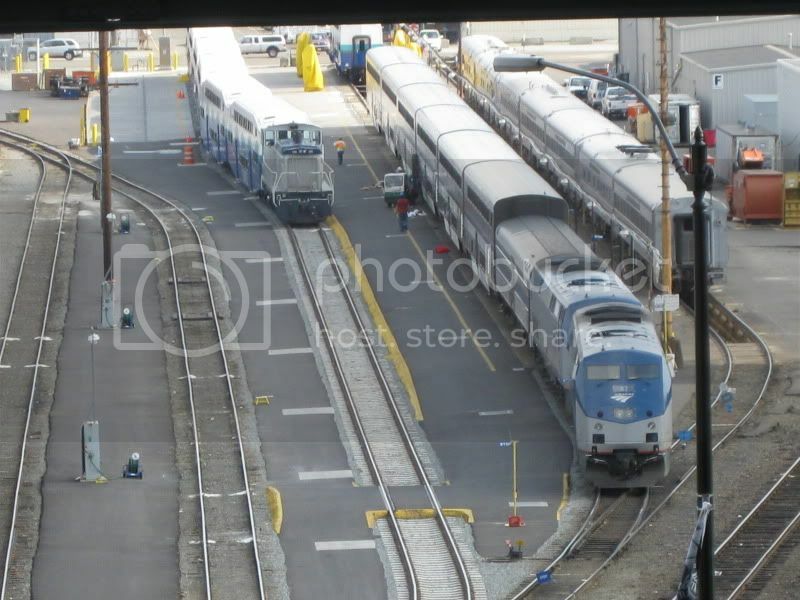 Prior to this new daily service, Alki Tours has been running a "Snow Train" using Amtrak's single level equipment (Horizon and Amfleet) usually with a former GN Great Dome (the full length one that was open only to sleeping car passengers in the 1950s consist). 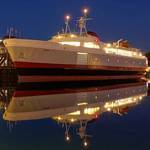 This leaves Seattle in the morning on December weekends with a stop at Edmonds and Everett. After spending part of the afternoon in Wenatchee, this train returns to Leavenworth to pick up happy folks for the trip back. 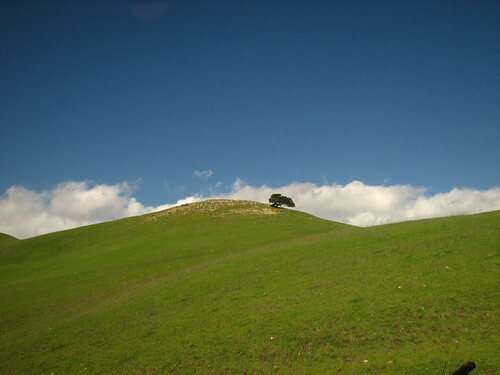 Prior to the construction of Icicle Station, this was a flat area where school buses would meet the Snow Train to take the people to the city. 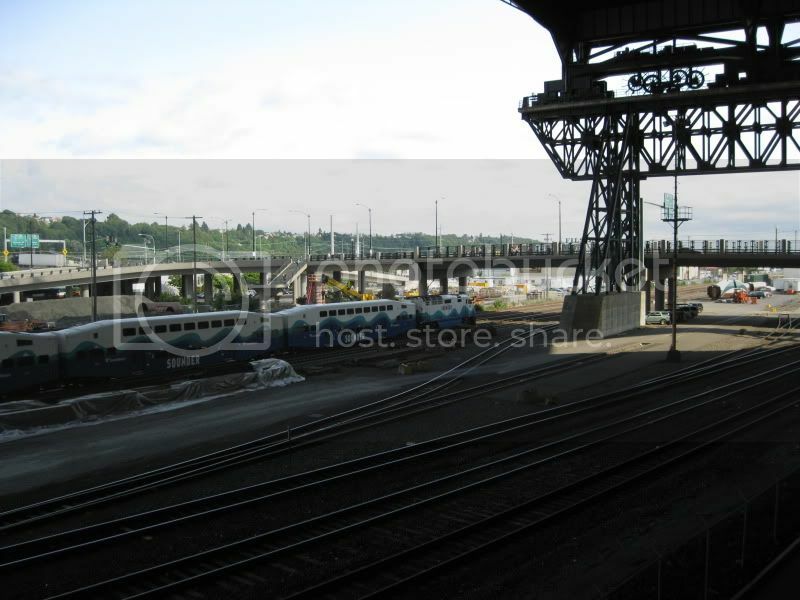 The railroad corssing at the Steilacoom Ferry Terminal. 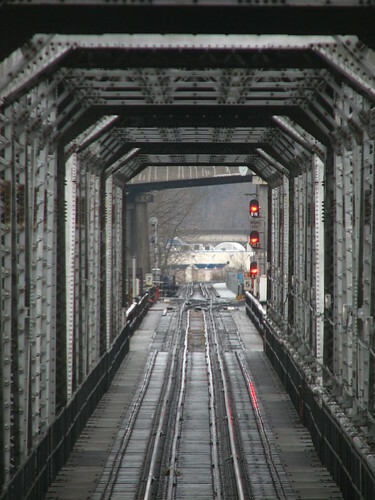 This crossing has a wayside horn, which is used in place of the train horn and is supposed to produce less noise. I was down there on Saturday and heard that horn. It is kind of different, although it seems effective. 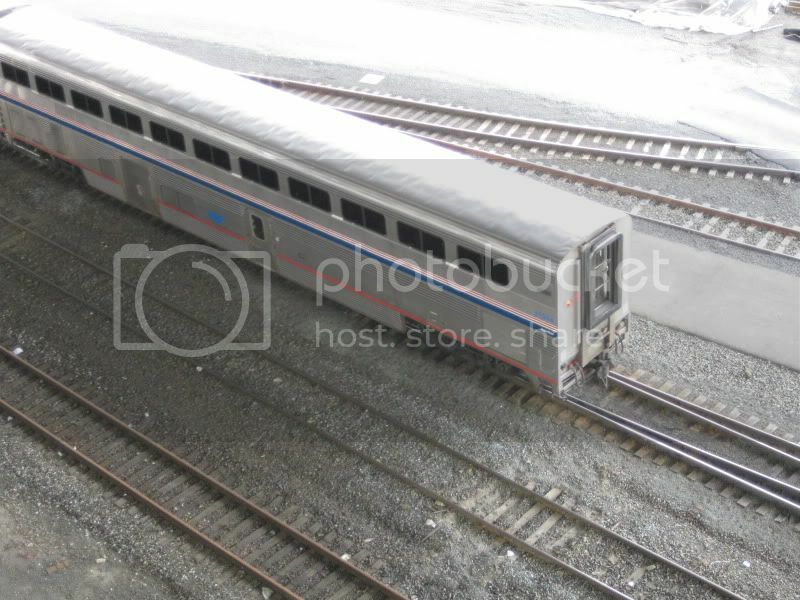 How come all the AmTrack trains have those silly little raised areas at the beginning and end of each train? 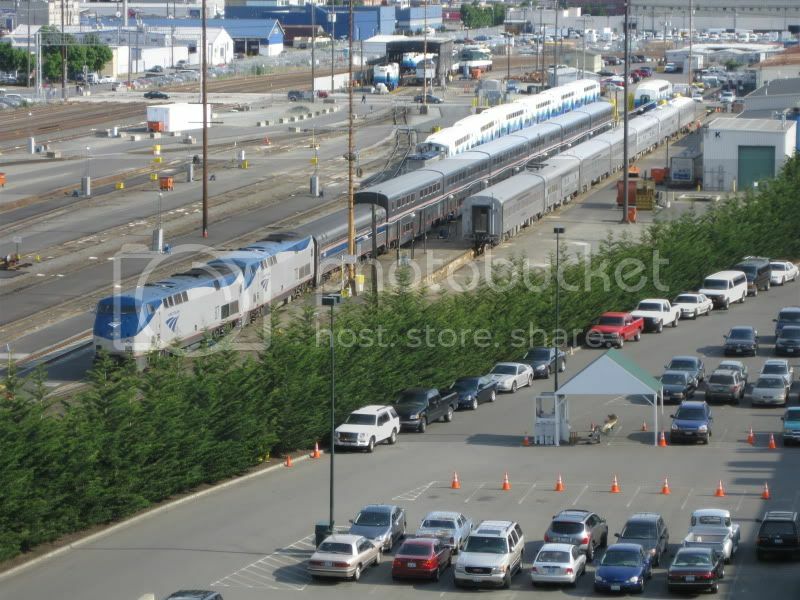 So much for improving passenger rail traffic between Vancouver and Seattle. On the same day that Vancouver City council is given notice of a resolution from Coun. 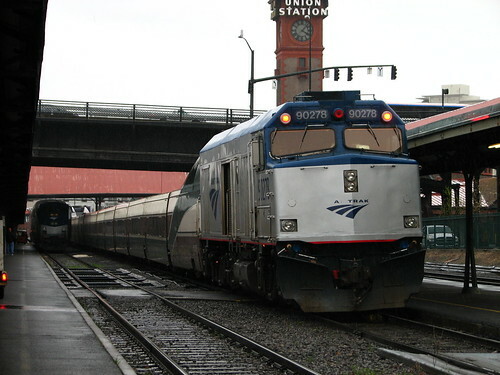 Geoff Meggs to protect the city's role as a Cascadia passenger rail terminus comes word that the second Amtrak train on the Seattle-Vancouver run is to be canceled. We're still developing the story, but according to the Washington State Department of Transportation, the Canadian federal government decided last week to require WSDOT to pay nearly $550,000 a year for border-clearance services. This money would cover additional staffing by the Canada Border Services Agency for the 10:50 p.m. second-train arrival, according to the WSDOT press release. "British Columbia and Washington are so disappointed by this news," said Washington Transportation Secretary Paula Hammond. "The economic benefits for Vancouver and Washington are clear as travelers shop, eat and stay in local hotels. The second train has brought an estimated $11.8 million in economic benefits to British Columbia during the year it has been allowed to operate. Does it really make sense for $550,000 in annual border inspection fees to be the reason the service ends?" Meggs points out in his motion that the Amtrak service to Seattle and the Rocky Mountaineer trains through the Rocky Mountains "both underline the importance of passenger rail service to the region's tourism and business sectors." 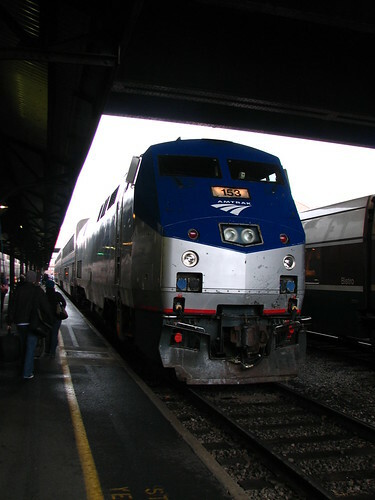 The second Amtrak Cascades train service began as a pilot project in August, 2009 as part of an effort to improve service in the months before the Vancouver 2010 Winter Olympics. It proved to be immensely popular but almost didn't come to fruition. 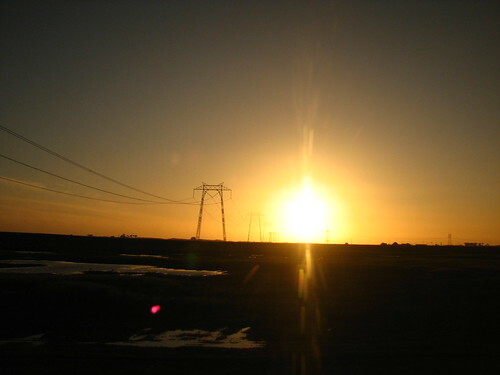 The Canadian government had originally insisted on the extra border fees, but agreed to suspend the charges pending a review of the project. 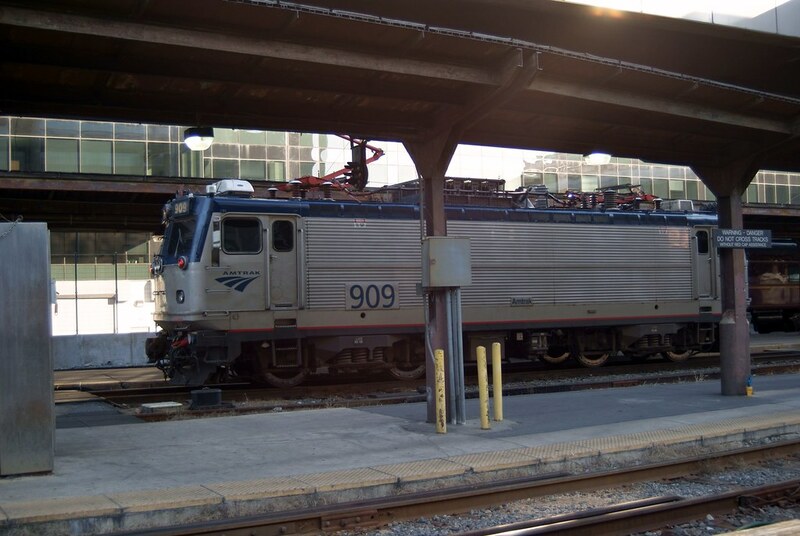 WSDOT says total ridership on the second Amtrak Cascades train between Portland and Vancouver "has grown steadily in the first year of operation, carrying nearly 245,000 passengers. 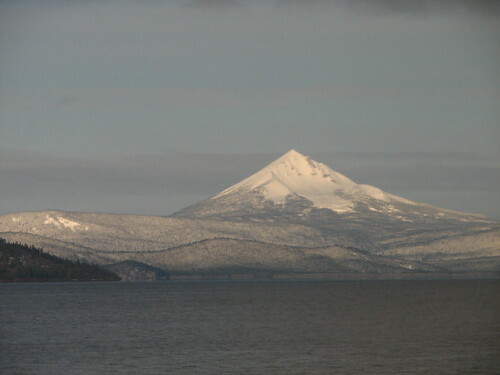 Of these, 26,837 have traveled across the U.S./Canadian border into Vancouver, B.C. " The second train's service will stop after Oct. 31 if Ottawa politicians don't change their minds. Is there a valid reason for this to be canceled? You tell me. 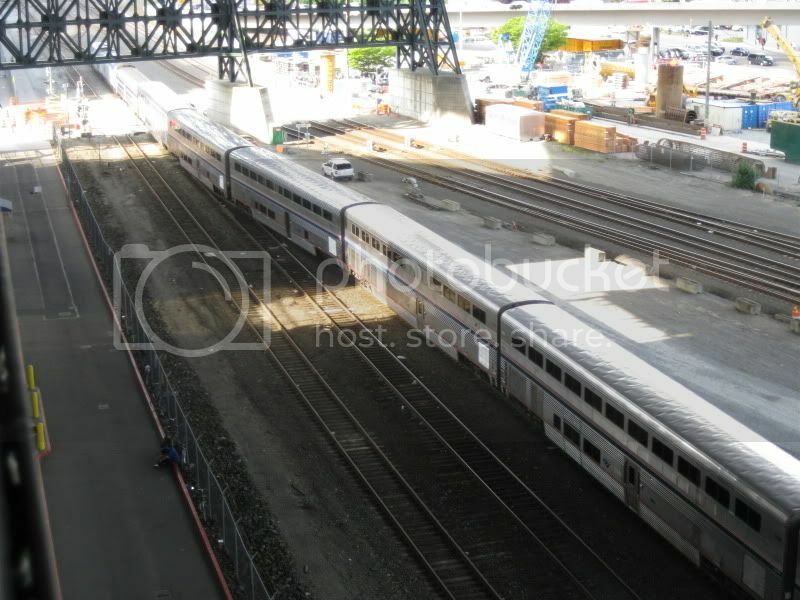 VANCOUVER - The second Amtrak train running between Vancouver and Seattle will get a one-year extension, the federal government announced today in Vancouver. "We have agreed to extend the service for one year," Public Safety Minister Vic Toews told reporters during a hastily arranged news conference. The minister said he asked Canada Border Services Agency to "dig and find the money" - it will cost $800,000, or $1,500 a day, for border fees for the service. "There are no new funds in the extension of this contact," Toews said. And the CBSA re-allocation will not affect public security, he added. "I can assure you it will not impact security." Treasury Board president Stockwell Day, a B.C. Conservative MP who attended the announcement, praised the move, which is seen as a boost to tourism between Canada and the U.S..
"It's a great example of how our national government can work," Day said. 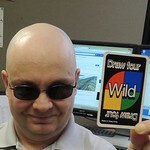 Stephen Regan of the Council of tourism Associations of B.C. said he was thrilled by the one-year extension. 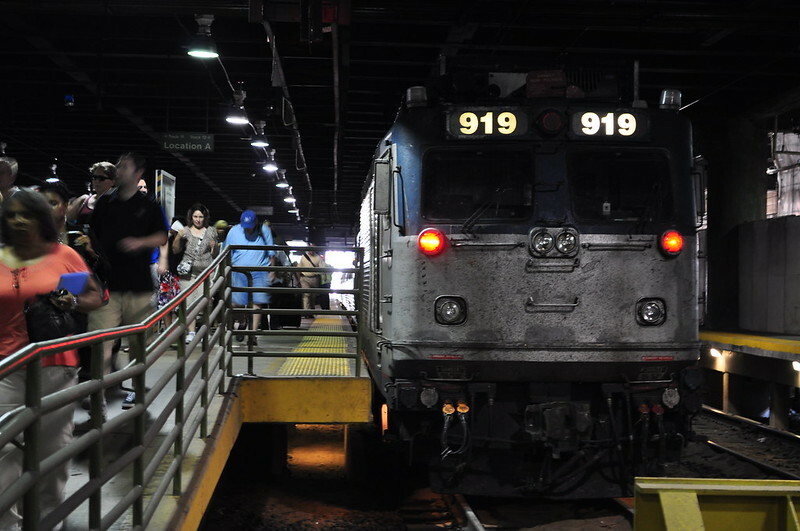 "The announcement is great news because we believe a second train will be viable," he said. The second train was added during the Vancouver Winter Olympics but the U.S. had threatened to cancel the service if the government carried through on imposing a fee to cover the cost of additional staff required to process the second train's passengers. The fee requested would add about $20 to each ticket, making the price uncompetitive. 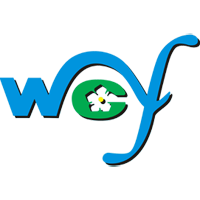 The government responded by first extending the service without the added fee until Oct. 31 and now promises the service will continue fee-free until next October. I'm happy to see the tourist loads will keep on coming! 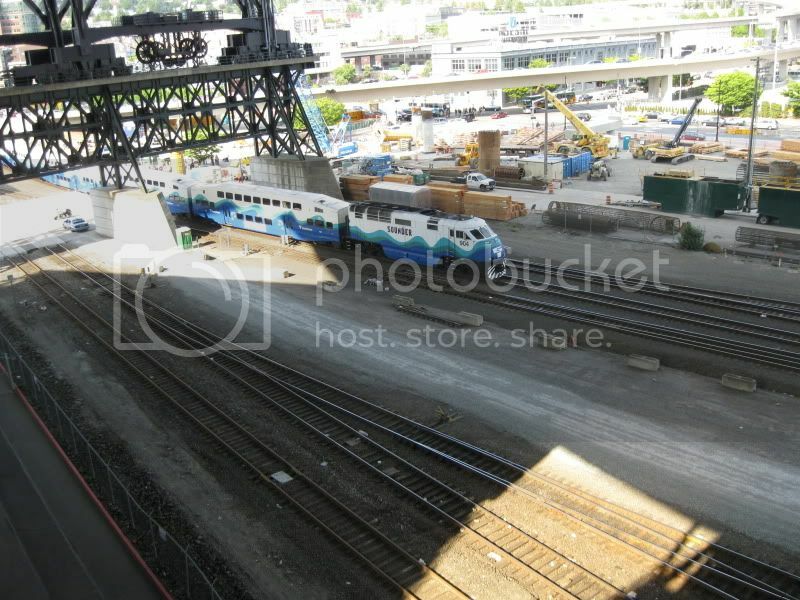 I took that new early morning train south to Seattle once from Vancouver. This was on the day after Canada won the gold medal in Hockey and my attendance of the Olympic Closing Ceremonies in BC Place Stadium. Haven't been north of Everett on that northbound evening train yet. I've taken that one maybe a couple of times to Everett from Seattle. On one of those trips, they were showing that great Beatles movie (which also features the Fab Four riding aboard British Railways in a mix consist of Mark 1 and Stanier coaches on their way to their next venue). I usually ride with my legs propped up on the Empire Builder, though, or riding Sounder on my "just for fun" train rides up to Edmonds or Everett. Amtrak station at Belton Montana, otherwise known as Great Northern's West Glacier station. - the historic building hosts a Great Northern museum. 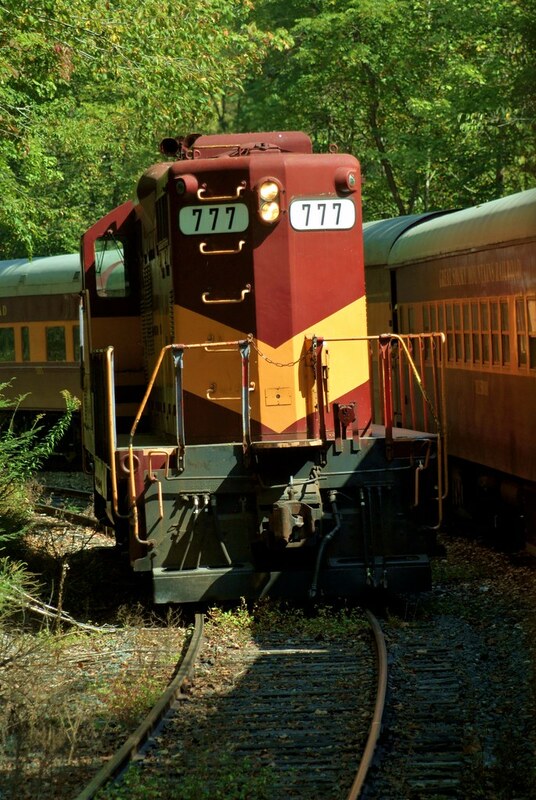 Engines 919 and 952 are AEM-7 electric locomotives (ASEA Electro-Motive 7000 hp). They are also known as "Toasters". 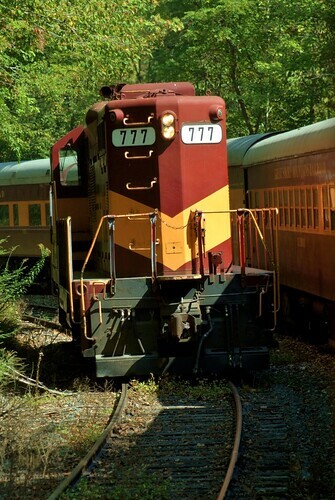 AEM-7's pull trains up to about 125 MPH. I have a couple of these "Toasters" on my HO track.